Home / Spaera 0.9.0.7 Mechanics Patch! Spaera Patch 0.9.0.7 is LIVE! Added a new block type, Graphically displayed as an orb wrapped in a golden frame. 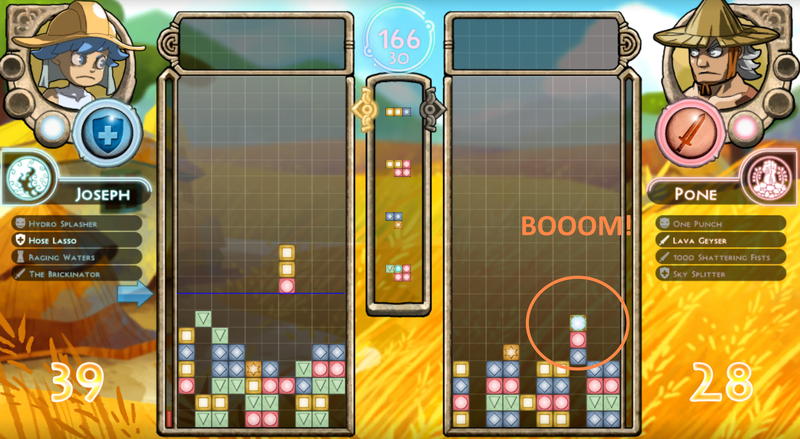 This block type acts as a wildcard and also clears a whole horizontal row when triggered. Block clearing attacks are now applies without deducting opponent’s clearing, meaning one line of attack will send one line over regardless if the opponent was also about to add one line to you in that turn. Adjusted the color rate of each spawned piece from the deck.